The oil within any engine is its lifeblood. Internal components rely on a thin film of oil to prevent metal-to-metal contact that can otherwise result in significant damage. The oil pump must be able to deliver to those components an adequate volume of oil and with sufficient pressure. The oil must be filtered, of the appropriate viscosity, and contain a sufficient level of anti-wear additives for maximum engine protection. Just how much of each is required depends upon the particular combination. 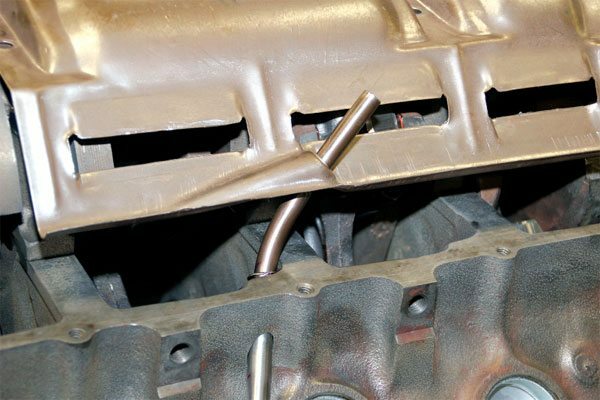 The oil pump in a Pontiac V-8 is a simple design that’s connected to the distributor shaft by a long rod, and the camshaft drives them as a unit. Factory oil pumps were rarely problematic and functioned reliably in production engines for 100,000 miles or more. The quality of modern-spec conventional oil is about the best it’s ever been. It offers excellent component protection and flows well at all temperatures. Most off-the-shelf oils are designed for modern production engines, however, and don’t always contain sufficient levels of desirable anti-wear additives critical for the vintage Pontiac V-8, particularly those with flattappet camshafts. Because of that, I simply do not recommend modern-spec conventional oil for high-performance use. Many large oil manufacturers produce high-quality synthetic oil that’s readily available at local auto parts store, including Valvoline and Mobil 1. Synthetic oil generally flows and protects better than conventional oil, particularly at high temperatures. Modern-spec synthetic oil is suitable if you’re running a roller camshaft in your Pontiac. Other oils marketed as “race” oil and/or are recommended for “off-road use only” generally have increased levels of all desirable additives and are an excellent choice regardless of camshaft type. Read the label carefully to determine its intended usage. Modern oil quality is excellent but those approved for passenger car applications rarely contain sufficient levels of desirable anti-wear additives, which are required for flat-tappet use. 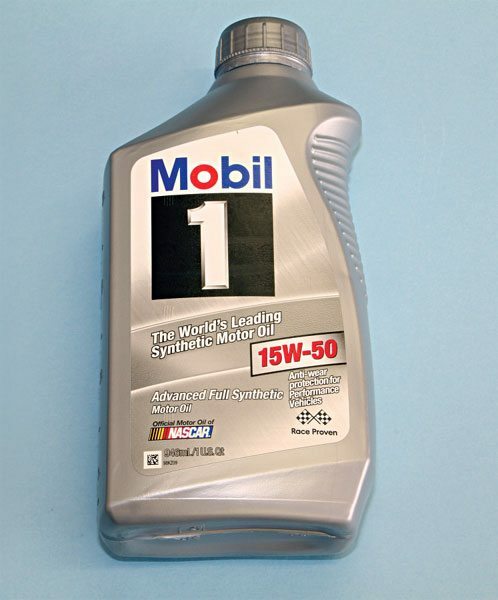 If your Pontiac is equipped with a roller camshaft, Mobil 1 full-synthetic is an excellent choice that provides excellent lubrication and component protection. 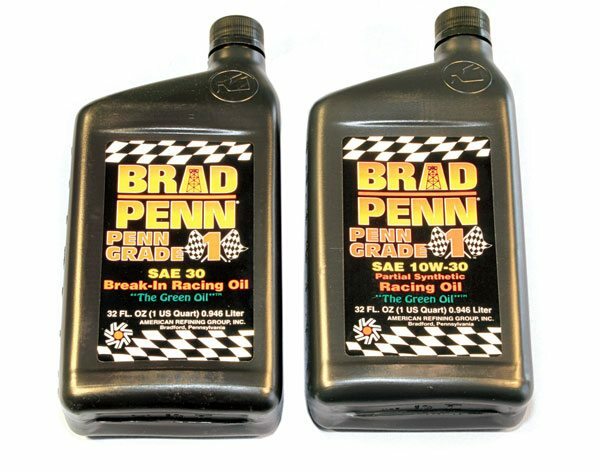 Many professional engine builders consider Penn Grade race oil from Brad Penn among the very best available today for highperformance use. It’s a partial synthetic that contains high levels of desirable additives and offers excellent protection at all performance levels. It’s ideal if your Pontiac is equipped with a fl at-tappet cam. Check with local machine shops or speed shops for availability. It can also be purchased through mail-order sources. Heavy-duty oils designed for use in Diesel engines such as Rotella T and Delo 400 are other options. Heavy-duty oil contains high anti-wear additive levels and are excellent choices that are compatible with gasoline engines. They are, however, designed for relatively low-RPM operation, and foaming at high RPM is sometimes reported. Diesel oil is a suitable oil that offers plenty of protection for a typical high-performance Pontiac V-8 operating up to 6,000 rpm, regardless of camshaft choice. I feel the best oils available for any Pontiac V-8 are produced by Brad Penn and Joe Gibbs. These race oils are specifically designed for high-performance applications and contain high levels of all desirable additives and are compatible with flat-tappet camshafts. Available in a wide array of viscosities, both companies offer 30-weight break-in oil that’s heavily concentrated and ideal for flat-tappet camshaft break in. Both brands can usually be purchased at local machine shops, speed stores, or through mail-order companies. Expect to spend $8 to $10 per quart. Pontiac originally specified 20- or 30-weight oil for its V-8s depending upon the season. When multi-viscosity oils became available, Pontiac revised its recommendation to include 10W-30 oil for year-round use. While modern 10W-30 oil can provide sufficient lubrication, heavier oil is often the choice of many professional Pontiac engine builders. That’s because the bearing clearances in most modern Pontiac builds are a bit looser than what Pontiac originally specified for production engines. Generally speaking, 15W-50 and 20W-50 provide sufficient oil pressure and protection. They are also a bit thicker and better resist being forced from between the contact surfaces under heavy load. Many companies produce engine oil additives designed to provide additional protection against wear. 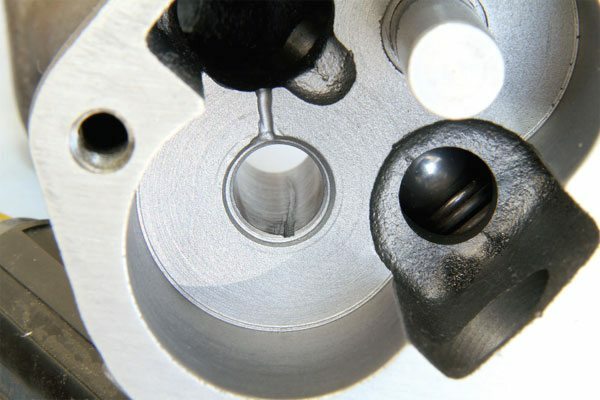 Whether specifically formulated for flat-tappet camshaft break-in or long-term use, they are simply added to the crankcase and supplement the existing oil. If you’re using a flat-tappet camshaft in your Pontiac, additives such as GM’s Engine Oil Supplement (EOS) can prevent premature failure that’s oftentimes related to additive levels in modern-spec oil. Your camshaft manufacturer or engine builders can recommend one. Many manufacturers offer separate additives to supplement regular engine oil. Most increase the amount of anti-wear additives in oil and/or improve lubricity. An additive isn’t always required if the oil chosen is sufficiently formulated for the application, but it doesn’t hurt. 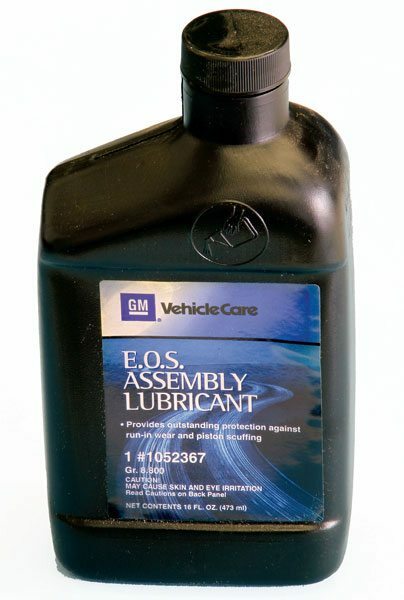 I regularly use GM’s Engine Oil Supplement in my own engines. It’s heavily concentrated and readily available from dealer parts departments. The Pontiac V-8 uses a positive displacement oil pump to pressurize the lubrication system and disperse oil throughout the engine. Lowperformance applications received an oil pump regulated to 40 psi, while higherperformance engines generally received a 60-psi pump. A limited number of applications received an 80-psi unit. The basic design works sufficiently for the intended applications, but its main weakness is its ball-type bypass valve. Should debris get caught between the check ball and seat, excessively low oil at idle pressure can result. Melling produces several different oil pumps for the Pontiac V-8. In addition to 60- and 80-psi pumps in its basic line, Melling offers those same pressure ratings in its Melling Select line; a higher end line that’s assembled to tighter tolerances, and can require less preparation for high-performance applications. Whenever using an out-of-box oil pump in any rebuild, I highly recommend completely disassembling the unit and closely inspecting for any metallic particles or debris that can prevent the check ball from fully seating during normal operation. Small burrs can be removed with a fi le or stone. Major issue should be pointed out to your machinist for a professional opinion. 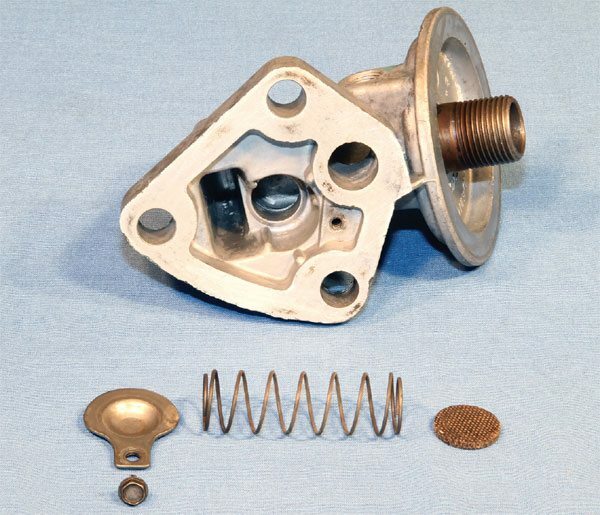 Once the oil pump is perfectly clean, it can be carefully reassembled, the pickup installed, and pressed into service. There’s no reason it shouldn’t perform reliably in engines operating up to 6,000 rpm. The Pontiac oil pump is relatively simple. Its cast body houses two spur gears that draw in, pressurize, and disperse oil throughout the engine. A ball-type pressure-relief valve regulates oil pressure to 40-, 60-, or 80-psi depending on the unit and engine build conditions. The stock oil pump is suitable for engines producing 600 hp or 6,000 rpm, or possibly more. 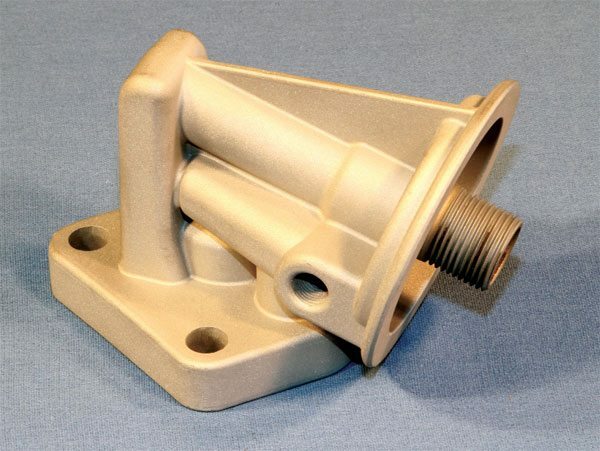 Most aftermarket oil pump pickup assemblies are retained by a bolt, which prevents it from working loose during normal operation. If you’re using a stock oil pan and pickup assembly in your build, I highly recommend applying a spot weld that permanently joins the two. Only a small tack is needed and as long as it’s applied quickly, it shouldn’t weaken or damage the cast housing. Melling produces two stock replacement Pontiac oil pumps. Each is available in 50- or 70-psi variants, which generally produces 60 and 80 psi, respectively, with normal production bearing tolerances. The standard pump (left) is built to exact OE specifications. The Select Performance pump (right) features tightened tolerances and billet gears to improve performance and reliability, particularly at high engine speed. In a Pontiac V-8, the camshaft drives the distributor, which subsequently drives the oil pump. A long, hardenedsteel rod connects the distributor and oil pump shafts, and the ears of its slotted ends are always under load. Using a new shaft during a build is always a good idea. The Melling IS-54A is a high-quality stock replacement that sells for about $10. 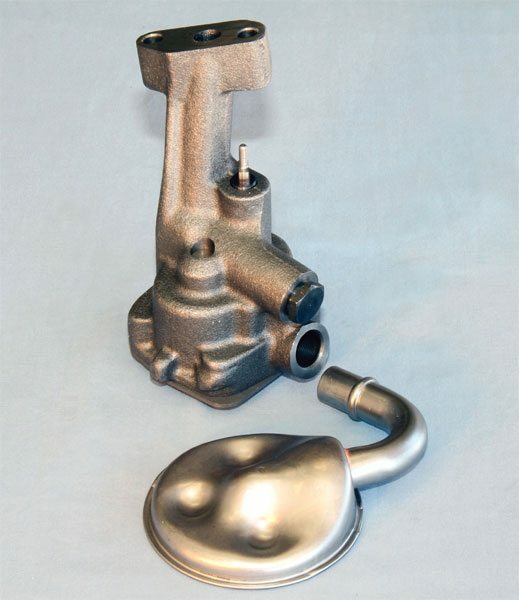 The Pro-Series oil pump from Butler Performance may be the best OE-type Pontiac pump available today. It begins life as a standard Melling unit that Butler blueprints and adds a thick bottom plate to maximize performance and reliability in applications producing 1,000 hp or more. It’s wet flowed and pressure tested before shipping, which reduces the chance of oil-pressure-related issues upon immediate startup. The internal gear surfaces within the Butler Performance Pro-Series oil pump are diamond-lapped for improved consistency. 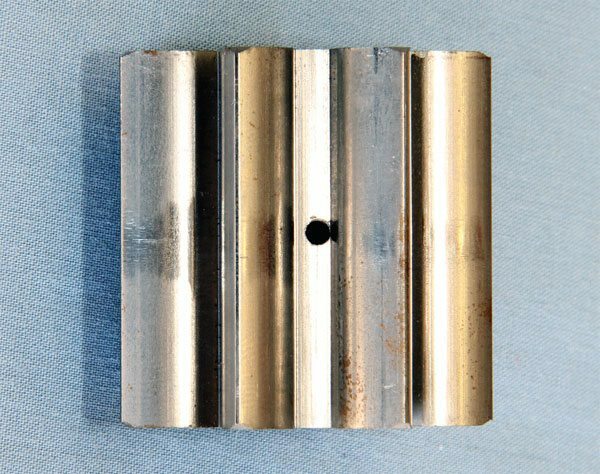 The drive gear shaft is micro-polished and positive lubrication is added to reduce friction and wear. The check ball in the bypass valve and its sealing surface are also blueprinted for maximum pressure consistency. A hole is added to the driven gear to bleed off trapped air, which leads to cavitation. It’s a condition where trapped air pockets collapse during operation, creating irregular shock loads that causes component fatigue and failure. A groove machined into the bottom plate works in conjunction with the modified gear to further reduce the chance of cavitation. In my opinion, the best oil pump available today is from Butler Performance (BP). Its Pro-Series pump starts life as a typical 80-psi Melling unit, but it’s completely disassembled, re-machined, blueprinted, and reassembled. 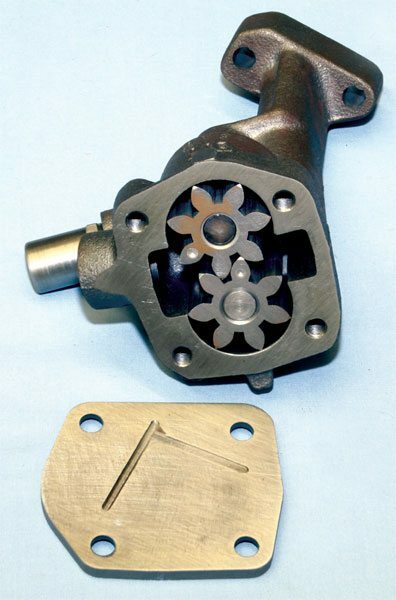 During the re-machining process, lubrication grooves are added to certain areas and the idler gear bore is honed and a relief hole is added to the idler gear to prevent oil cavitation; a condition where trapped air pockets collapse, causing irregular shock loads that can prematurely fatigue components. During reassembly BP adds a very thick bottom plate to prevent pressure loss associated with distortion. The pump is then pressure and volume tested to ensure it provides 70 to 80 psi and can flow as much as 8 to 10 gpm more than an unmodified 60- or 80-psi unit. Delivered in ready-to-run condition, no additional preparation steps are required and you can be assured that it will provide immediate oil pressure upon startup, saving time and effort versus preparing a typical unit. For a cost of less than $200, the Pro-Series pump provides the reliability and consistency required for max-performance applications. It’s ideal for most Pontiac builds producing 550 hp or more, and is very capable of providing sufficient lubrication for engines producing 1,000 to 1,200 hp, or possibly even more. 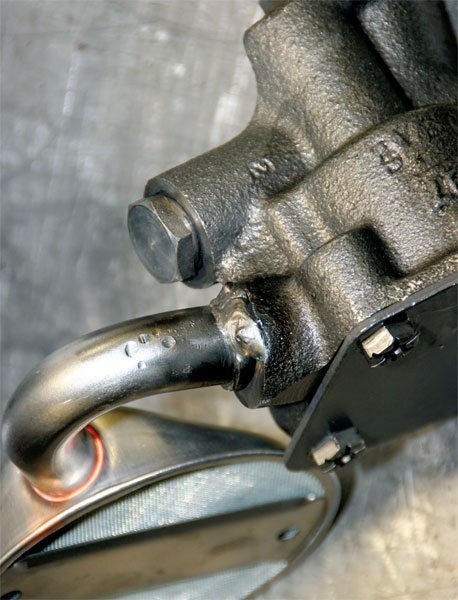 Specialty gerotor or billet dry sump oil pumps may be required for applications beyond 1,200 hp. They are, however, expensive and are generally a custom-order setup. I recommended contacting Butler Performance for more oil pump information if you feel your particular engine requires lubrication beyond the capability of its Pro-Series pump. Oil pressure provides a constant flow of oil to the bearings, and generally speaking, 10 psi of oil pressure for every 1,000 rpm is the minimum requirement for reliable operation. Ideal hot-idle oil pressure should be between 30 and 40 psi when using an oil viscosity of 30W or greater. Pressure should climb quickly as engine speed increases, and it should top out between 60 and 80 psi in any highperformance application. An oil pump with a pressure regulator setting of 60 psi is generally adequate for most applications. Some argue that pressure greater than that does little more than create parasitic drag that reduces horsepower. 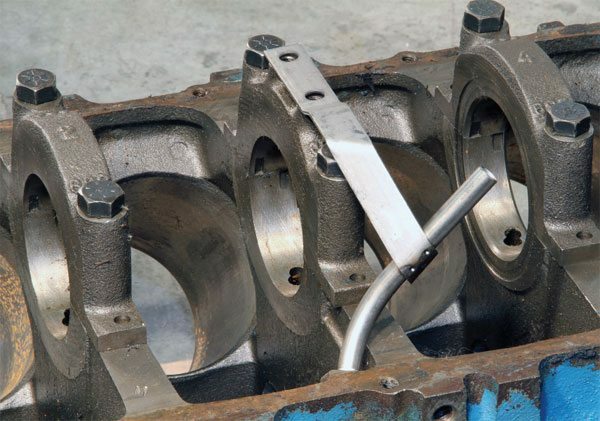 With slightly greater bearing clearances typically associated with modern high-performance builds, an oil pump with an 80-psi regulator setting might be a better choice as it generates only 70 to 75 psi within the engine. 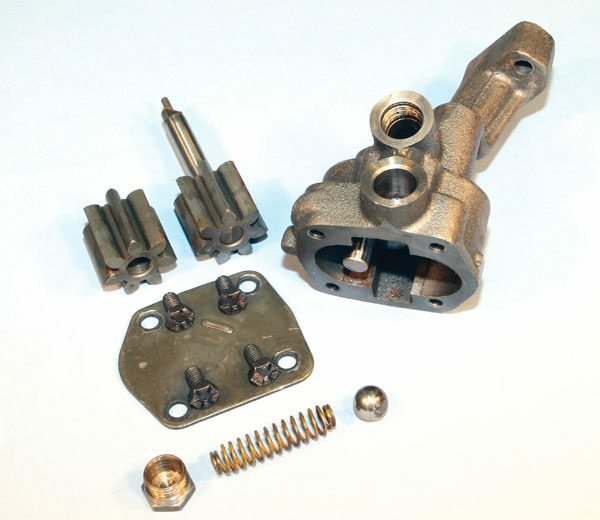 The Pontiac oil pumps available today use the same cast body while the length and tension of the bypass valvespring regulates pressure. 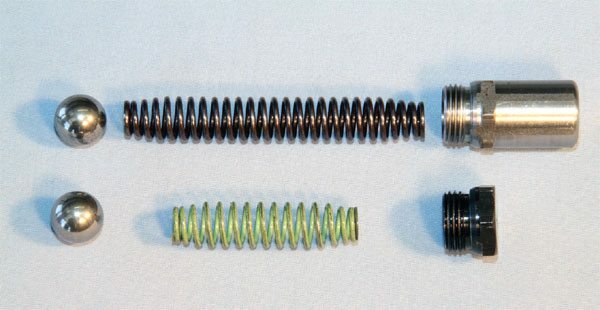 The shorter spring provides about 60 psi and the longer spring provides about 80 psi. Installing a .060-inch shim between the spring and cap is a common modification in applications where a slight pressure increase is needed. Oil pump pressure may be a consideration when using a very aggressive hydraulic-roller camshaft in a high-performance build. The high-pressure valvesprings required to effectively maintain valvetrain stability can cause the roller lifter’s hydraulic internals to bleed down too quickly, and that can translate into a significant performance loss. In those instances, the 60 psi associated with a typical oil pump may not be enough. Additional oil pressure may be required to keep the hydraulic lifters functioning properly. An oil filter is designed to remove and collect small particles and debris that’s suspended in oil as it circulates throughout the engine. AC provided Pontiac with its oil filters for its V-8s. It’s a high-quality design that’s rather large and offered excellent filtration and flow. AC Delco has since assumed production and its number-PF24 filter is a modern replacement for the Pontiac V-8. It’s not commonly stocked on local auto parts store shelves, but it’s something that can be ordered in and arrive within one day. I have found that the Pontiac-spec filter sold by NAPA in its Gold line is produced by Wix. Number-1258 is a high-quality filter that I’ve often substituted for the AC Delco PF-24 without issue. Mobil 1 also produces high-quality oil filters, and its M1-203 is considered a stock replacement for the Pontiac V-8. 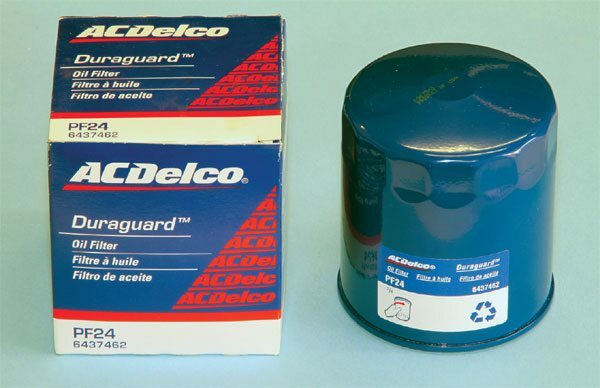 The PF24 oil filter from AC Delco is a stock replacement specifically designed for the Pontiac V-8. It’s a high-quality unit that offers excellent filtration and can generally withstand high oil pressure levels. It can be ordered through most local auto parts stores if it’s not already on the shelf. Any of these filters would make an excellent choice for your Pontiac V-8. A remote filter assembly can be used if larger-than-stock filter capacity is needed or if exhaust header routing prevents the use of an appropriately sized filter. I recommend discussing remote filter options with your builder. It usually consists of a remote mount, flange adapter, and the required highpressure hoses. Pontiac included an internal bypass in its oil filter housing that’s designed to let pressurized oil bypass the filter should there ever be an impedance to flow. It prevents the bearing and journal damage that can occur from lack of oil flow if the filter ever fails. In fear of unfiltered oil circulating throughout their engine, many hobbyists block the bypass by inserting a pipe plug into the passage to force 100 percent of the oil through the filter. I don’t see unfiltered oil as a critical issue, however, especially if the bypass is operating as intended. The bypass operates on a pressure differential and if there’s a momentary pressure loss of the oil exiting the filter, the bypass allows a slight bit to slip past to sufficiently lubricate the bearings. With regular oil changes and quality filtration it’s unlikely that the oil is dirty enough to cause significant damage. I’d rather have unfiltered oil flowing throughout my engine that no oil at all. The bypass in the stock oil filter housing allows for continuous oil circulation should filter flow drastically decrease or stop. Performance enthusiasts commonly block the bypass, forcing all the oil through the filter, preventing the chance of circulating unfiltered oil. Strong arguments can be presented for either case, but I prefer to leave it functional since I believe no oil flow is a greater risk to the engine than unfiltered oil. 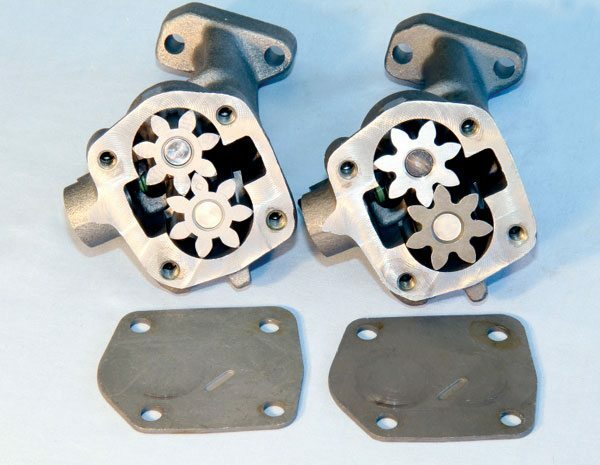 APE and KRE reproduce Pontiac oil filter housing. The unit from APE includes a stock-type bypass while the unit from KRE is left as cast, and not functional. Both are distributed by many companies for less than $75. If a filter issue ever arises, a teardown is likely in the immediate future anyway, and if the bearings are performing their intended task, the foreign particles suspended in the unfiltered oil should imbed into the bearing as opposed to scoring the journal surfaces. That can leave the components in good, reusable condition as opposed to being severely damaged if no oil flow occurs. I recommend simply disassembling the oil filter housing bypass, thoroughly cleaning it, and then reassembling it. You certainly can, however, tap the housing with an appropriately sized pipe plug if you’re concerned with the chance of unfiltered oil circulating in your engine. There are several companies reproducing factory oil filter housings. Some contain a factory-type bypass and others are cast shut. A typical Pontiac oil pan has a large sump at the rear that the oil flows into and the pump draws from. In race-type applications, the very best pan keeps the oil from climbing up the back wall, and uncovering the pump during very hard acceleration. Curing this can require a wider or deeper sump to increase the capacity. 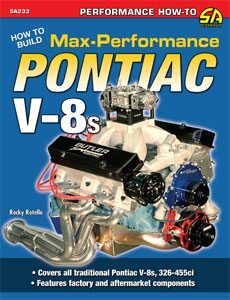 Professional Pontiac engine builders have their favorites, and they are usually custom units. You can discuss this with your Pontiac engine builder if you feel a drag-race oil pan is required. There are also a few readily available aftermarket oil pans ideal for high performance use. 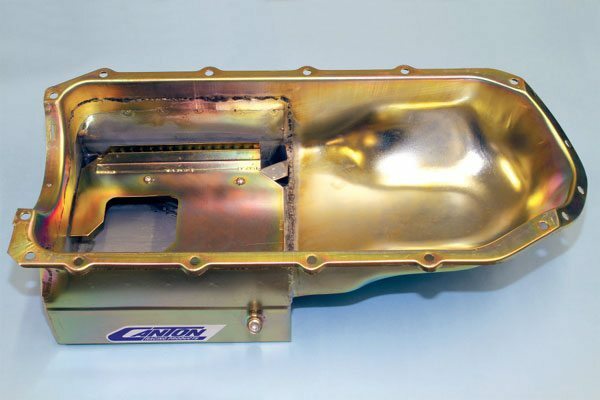 Canton’s Road Race oil pan for GTO and Firebird models uses an internal baffle and trap doors to keep the sump full during hard braking, accelerating, and hard cornering. The wider-than-stock design increases the pan’s capacity to 7 quarts or more. It fits very well and functions as intended. The internal baffle must be drilled if you plan to use the factory oil dipstick, so some test fitting may be necessary. It sells for about $300. Milodon produces a few different oil pans for popular Pontiac applications, and they seem popular with hobbyists. Its low-profile pan includes a kick-out feature that increases oil capacity and has internal baffling helps keep the pickup submerged in oil during harsh maneuvers. Those I’ve spoken with report excellent fit and function. It requires the use of a specific oil pump pickup, which Milodon offers. Expect to spend about $300 for any of the offerings. Canton produces several oil pans for the Pontiac V-8 that ranges from stock replacement to high-performance street/strip units with additional capacity. Expect high-quality construction and excellent fit and finish. It even offers variants compatible with most popular Pontiac models. Its Road Race unit (shown) includes trap doors and an integral baffle that doubles as a windage tray. Unbolting the removable baffle reveals the trap door system that makes the Canton Road Race oil pan so effective. 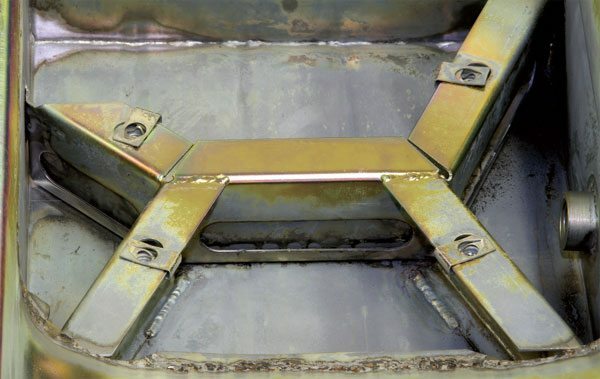 The doors are designed and positioned to allow easy oil flow toward the oil pump pickup during acceleration, and prevents it from fl owing away during hard cornering or braking. It works in conjunction with a specific pickup assembly that Canton sells separately. 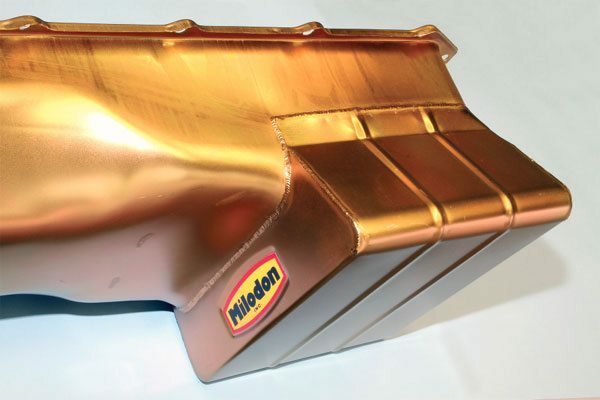 Milodon produces Pontiac oil pans ranging from a stock replacement-type to a road race unit complete with trap doors. Its low-profile oil pan fits and functions like an original, but offers additional capacity with a unique kick-out feature. It’s a very popular unit that fits most Pontiac models. Because it’s about 1 inch deeper than a stock unit, a specific pickup is necessary. If you plan on using the factory oil dipstick in your Pontiac, be sure it and its tubing are compatible with the windage tray and oil pan if you’re purchasing aftermarket pieces. The factory tray also retained the lower dipstick tube. 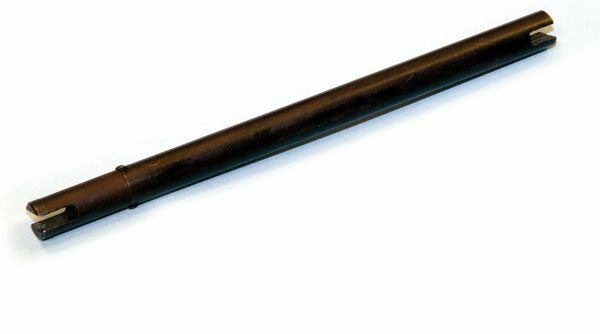 If you’re using it or a Tomahawk replacement and your original tube is missing, a high-quality replacement is available from Pontiac vendors. Pontiac eliminated the windage tray on its V-8s during the mid 1970s. The lower dipstick tube was retained by a bracket that simply bolted to the number-3 main bearing cap in those applications. If you’re using an aftermarket windage tray in your particular build, a tube like this may be an option that allows the use of original oil dipstick. You can source a replacement from many Pontiac vendors. A dry sump oil system removes oil that collects in the oil pan sump and relocates it to an external canister where it’s dispersed throughout the engine by an external oil pump. While not practical for every application, a dry sump system offers a few distinct advantages in max-performance engines, inlcuding increased lubrication system capacity and potentially greater engine output as it essentially eliminates the windage present in a typical wet sump engine. The main disadvantage to a dry sump setup is cost. I know of no company presently mass producing complete dry sump kits for the Pontiac V-8. That means modifying certain components for other makes to fit or newly fabricating others, and that can drive up the cost on an already expensive system. 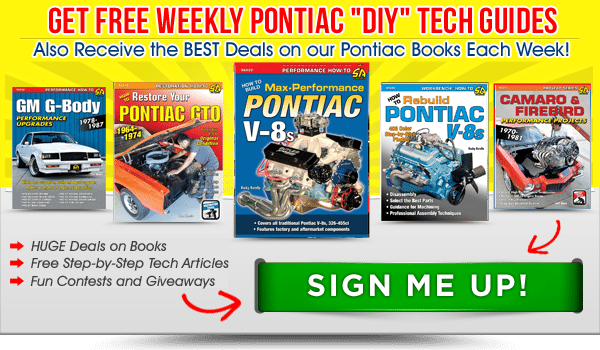 If you feel a dry sump oiling system may be something your Pontiac requires, your engine builder can recommend the best components for you. Expect to spend several thousand dollars to convert your Pontiac V-8 to dry sump, however.